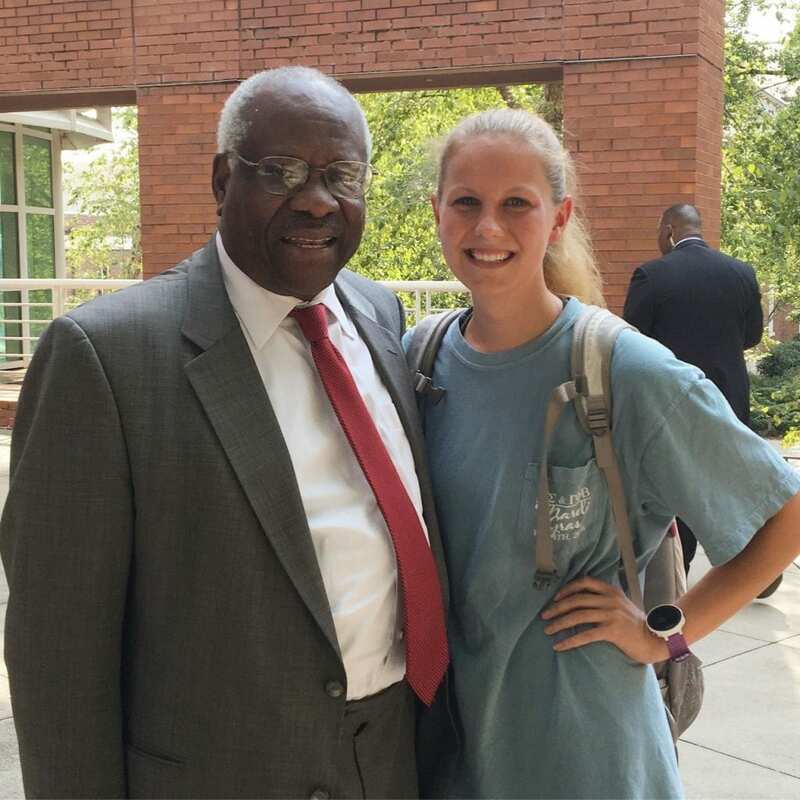 Supreme Court Justice Clarence Thomas taught 19 students from the University of Georgia Law School. The course focused on stare decisis or in layman’s terms respecting the decisions of previous courts. To get into the course the students had to submit a transcript, a writing sample, two names of faculty recommenders, and a statement of purpose stating why they wanted to be in the class. The students were required to read a rigorous mixture of articles, court cases, and books depending on the class. Justice Thomas even joked about how much the students read each night. The students expressed not only Justice Thomas’ joking nature but also how genuinely caring and considerate he was. The students had different take aways and highlights from the course but agreed that this was an amazing opportunity. They highly recommend any student who is able to seize the rare opportunity to study under the long-serving SCOTUS Justice. I was not able to interview Justice Thomas on camera but I did have the opportunity to meet him on his last day of class. The Justice and I spoke candidly about his issues streaming from the Apple Cloud to his IPad. The artist in question Colbie Caillat.